Got a kitty? You're going to need a litter box so they can do their business! Believe it or not, there's a lot that goes into choosing a litter box, so how do you choose? You should have as many litter boxes as cats, plus one. This is a preventative measure to keep your cats from doing their business elsewhere. We have two cats, so we have three litter boxes. Two in the basement and we recently had to move one to a corner in the upstairs bathroom. We noticed little Ginger was pooping in the downstairs bathtub. (Which is thoughtful of her to poop there and not on the carpet.) We haven't figured out why, but we've come to the conclusion that she's getting older and it's hard for her to climb down two flights of stairs to the basement to poop if she's upstairs. So now she has a small one conveniently located. Since we moved it, there's been no accidents! 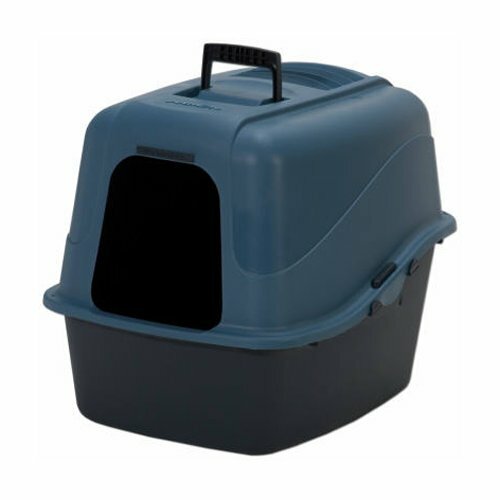 The location, location, location of the litter box is very important and can encourage good litter box habits. Ideally it should be away from activity and noise. Otherwise it will stress out your kitties. Plus they won't poop where they eat and drink, so it should be in a remote area of the house. Cats want privacy and they also want to feel safe. Make sure it's not in a closet or a room that's too small where they can feel trapped. 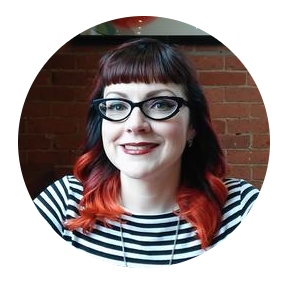 Once you figure out the placement, look and see what size you might need. Litter boxes come in different colors and sizes and some have covers to match your decor. 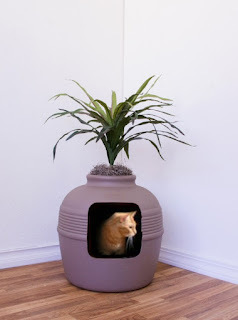 They make a variety of planter litter boxes that seem fun too. You can see those here. It should be big enough for your cat to walk around in. Don't forget kitties will go potty and scratch the litter to cover up it's smell ~ it could get messy. I always preferred a covered one to keep the litter contained, but make sure the cover comes off easily for cleaning. The shape can be a round dome or rectangular pan, and most cats are used to the rectangular size, especially if they came from a shelter. That's the shape they've been using all along. That being said, just because you found the perfect box for your house doesn't mean it's the perfect one for your cat. If for any reason they are going outside the box, you should first experiment with different litters, depths of the litter, and always keep it clean. Pooper scoop at least once a day. It will avoid poop and pee getting tracked around your house and in the end (pun intended) it's easier to keep up with. If this still doesn't work and it's not behavioral, it could be an underlying health problem, such as paw sensitivity from declawing. See my declawing blog here. 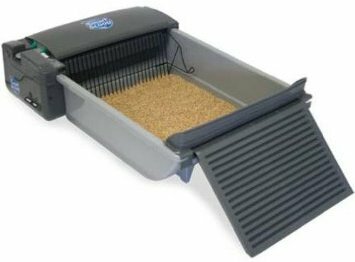 No surprise that there is such a thing as an automatic litter box that sifts the litter out and removes the waste. Then all you have to do is clean the one part. I've heard good and bad things about these boxes, so you'll just have to see for yourself. 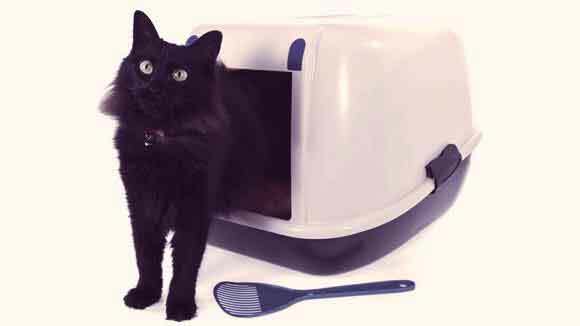 The disposable litter boxes are used if your cat ownership is a temporary situation, you're travelling with your kitty, you need one in a kitty kennel, or if you want stupid easy clean up. 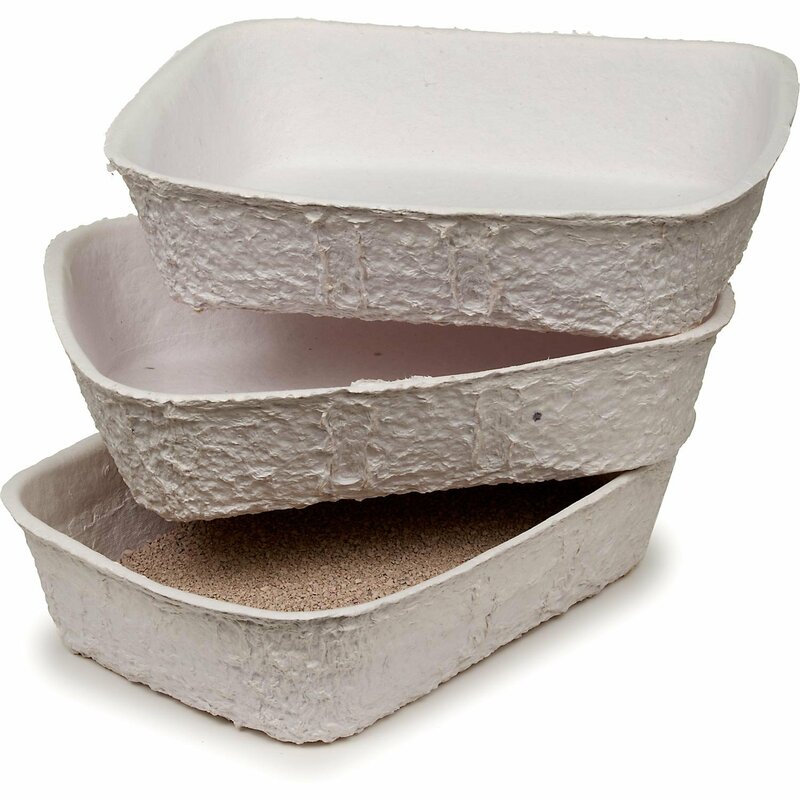 Most disposable litter trays are made of recycled paper and are biodegradable. You can take the whole thing and throw it out, which substantially helps odor control or you can also use it like a regular litter box and scoop the waste out, but it should be replaced after 3-4 weeks. I've even heard of owners making their own from Rubbermaid totes. Get an 18 gallon size with a lid and cut a 10 inch hole in the top, add litter and you're done! 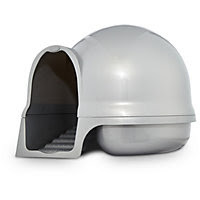 Personally I don't think my kitties would want to climb through the top, but you can cut a hole on the side instead. If you make your own, be sure the bottom doesn't have too many grooves that would make it hard to scoop and clean. You may ask, do I need litter box liners? The answer is no! 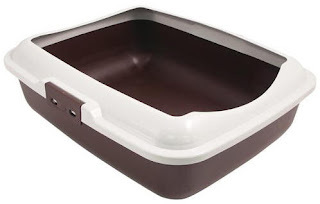 In theory they make cleaning up dirty litter boxes easy, but a plastic liner with cats that scratch to cover their business, just make holes in the liner, and what you think will be easy clean up turns into a big mess. The last option would be to teach you cat to go the the bathroom in your bathroom. Yes, it can be done. Cats can be trained to use the toilet, but you always have to keep the lid up and they don't flush (duh). Here's the How to. But be careful, not all cats can learn this trick. I had a friend that taught her cat to go in the toilet and when she moved it went in the floor heater vents. So I'd say this is an iffy training technique. I hope this helps you choose a perfect litter box and Happy Pooper Scooping!